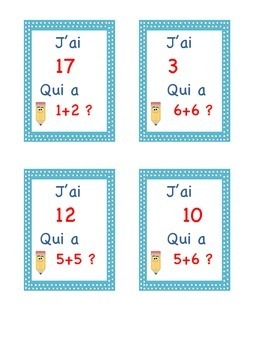 J'ai ... Qui a ... les doubles et presque doubles. 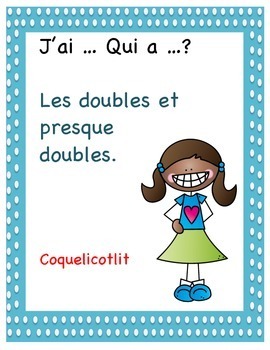 Fun game to practice math : doubles and doubles +1. 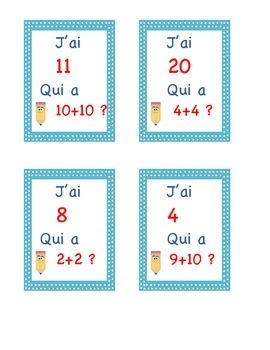 Pass one card to each student ( some might have two), the student having the card with "Je commence" will start. 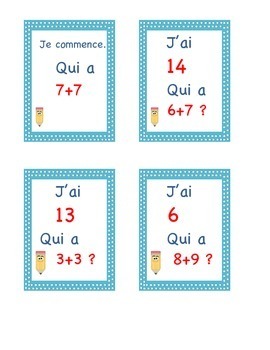 There are 23 cards, numbers are between 3 and 24.